On the wedding day everyone’s eyes are on the bride. That’s why the bride must look her best – the dress, the accessories and the hair should be perfect. 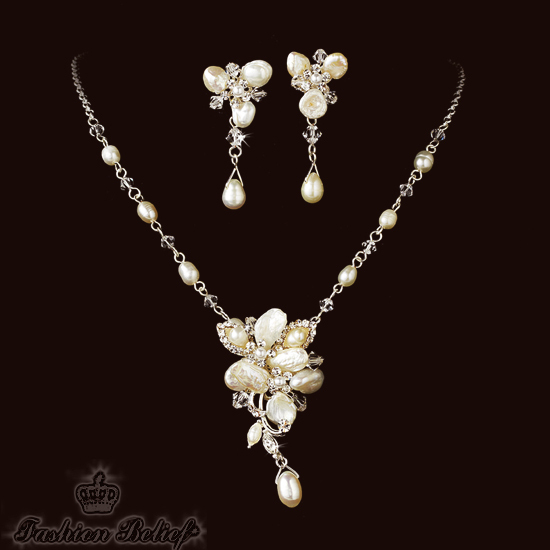 In this article we will give your some tips how to choose the bridal jewelry for your wedding day. The style of your dress is the best indicator as to whether do you need jewelry and what style it should be. Don’t pick jewelry just for the sake of wearing jewelry. If your wedding dress has a lot of decorations, like diamonds, pearls, sequins or the fabric goes high at the neck, wearing jewelry is not a good idea, because your final look will be too splashy. When choosing bridal jewelry, keep in mind that you are supposed to enhance the beauty of your dress, not ruin it or hide it. That’s why you should choose jewelry according to the style of your dress. 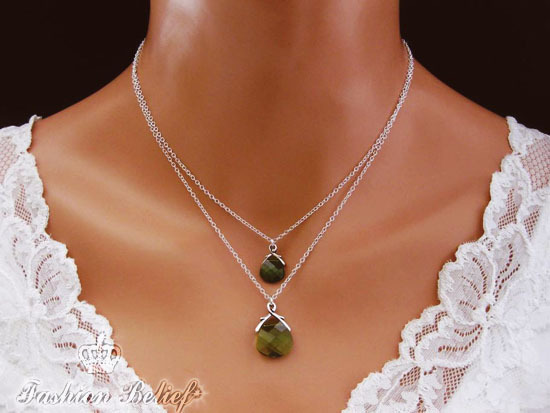 An elegant necklace and earrings will complement lower necklines. A bracelet can be added gracefully to short sleeves. If your dress has gems, pearls or sequins, then consider jewelry that matches their color, but in a balance fashion. Be careful not to overdo it. In some cases, you may need to choose simpler jewelry to create a balance. When choosing wedding jewelry, you may also consider your hairstyle. If you are going to wear your hair up, then hanging earrings are appropriate. But again, don’t select anything that will ruin your finished look. Every jewelry item must complement your dress as a whole. It is best to choose jewelry that reflects your personality. Thus, you will be comfortable and confident in what you are wearing. Like the dress, the jewelry, too must match your personality. When choosing wedding jewelry, go for what you need, instead of what you want. Generally, wedding jewelry has a reputation of being over the top, but you can select something, based on the style of your wedding dress, your personal features and the overall look you are trying to achieve.